The name Rana Punja, who was a true son of the soil, is taken with great reverence because of his contribution and service to the House of Mewar. He was the chief of his Bhil tribe and one of the most trusted leaders who fought with his fellow tribesmen along side Rana Pratap in the famous battle of Haldi Ghati (1576 AD). Even after the battle of Haldi Ghati he and his fellow tribesmen came forward, frequently, to assist the Maharanas in maintaining the freedom of Mewar. The Bhils proved that anyone who is prepared to lay down his life to protect the independence of mother land does not have to belong to any particular caste or creed. The most significant implication is that lack of resource is no impediment in the path of preservation of self respect and self reliance. 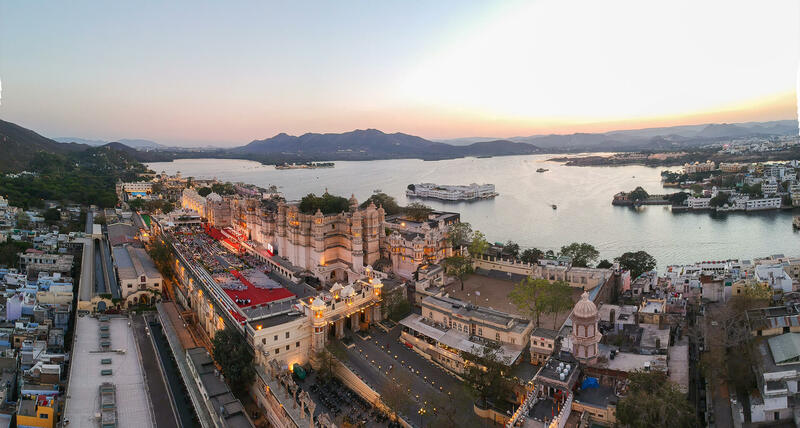 It further symbolises that for centuries, Mewar has believed in equality amongst all men. 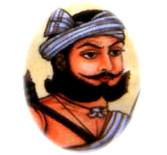 Rana Punja and his fellow Bhils were the first tribal to be given equal status as any other citizen of Mewar – a unique first in the history of India. Because of such selfless devotion and loyalty the name of Punja was given a prefix of Rana which is the original form of address of the Maharana himself. The entire Bhil tribe is highly regarded by the Mewar dynasty, to the extent that at the time of succession unless the Bhil chieftain did not put a tilak with his own blood on the forehead of the person succeeding the deceased Maharana, he was not recognised as the subsequent Maharana. During the British times when the coat-of-arms of Udaipur was registered with the Royal College of Heralds in London the Maharana honoured the Rajputs and the Bhils, in recognition of their joint contribution by accepting the coat-of-arms of the state of Mewar depicting them each standing on either side of the shield which shows the fort of Chittorgarh. Thus implying that the presence on the coat-of-arms of the House of Mewar is not only acceptable but most appropriate and befitting. Furthermore suggesting that it was the Maharana the Rajputs and the Bhils, who collectively upheld the freedom of Chittorgarh. The Rana Punja award is a state award. This award was instituted to honour works of permanent value to society by a person of tribal origin in commemoration of the mutual trust and continued association between the Bhil tribesmen and the House of Mewar.